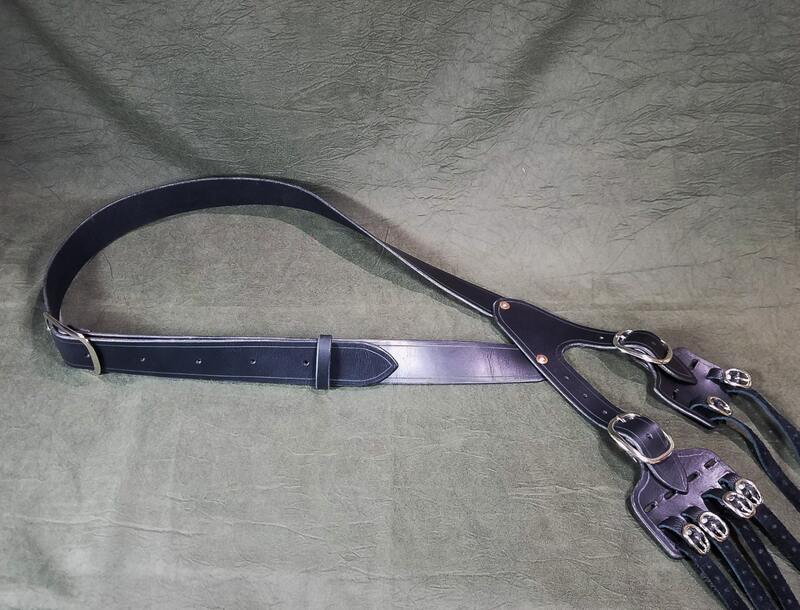 This listing is for a custom leather baldric for carrying a sword and dagger. 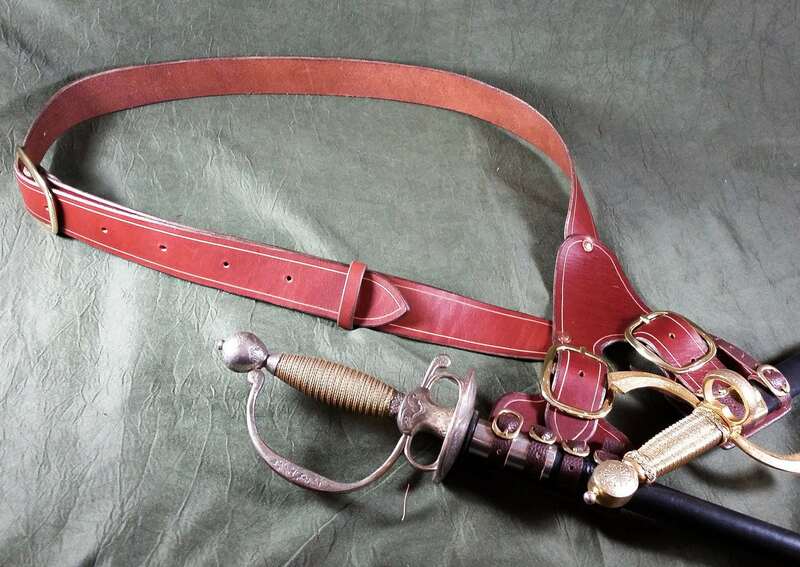 This listing is for a reproduction of a baldric featured in a book on Revolutionary War era sword hangars that is made to hold a sword, and companion dagger, each on removable frogs. 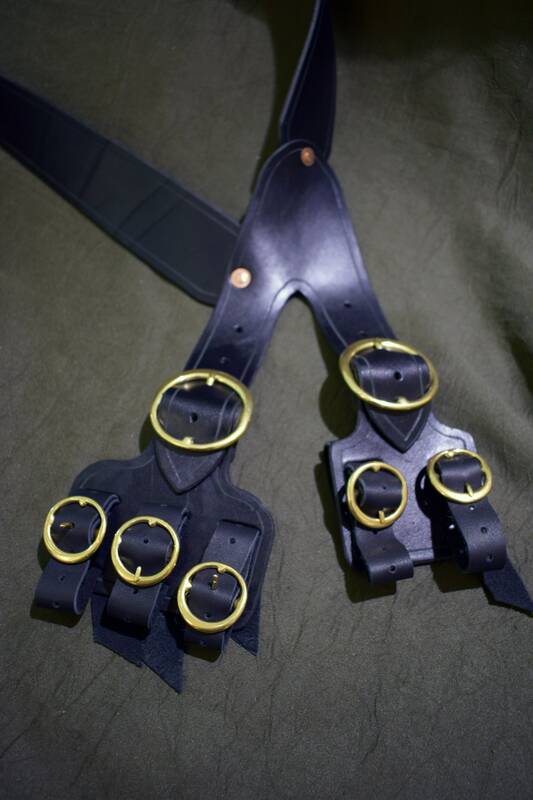 The frogs include buckles straps which allows you to accommodate many different styles of sword. 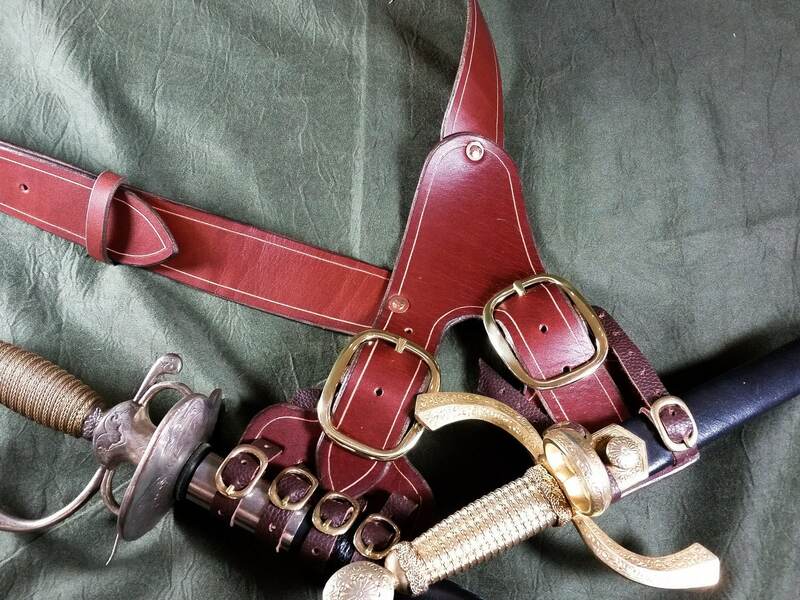 The baldric is available with standard oval brass or steel buckles, or historically accurate brass D buckles. Naturally, the swords and daggers in the pictures are not included. If you have any ideas for customization in mind, feel free to message me. This is just what I needed. It's well-made, looks good, and is exactly as described. I like some of the little touches I didn't notice on the photo, like being able to tuck in the straps that hold the swords in place. When I messaged this shop, they responded very quickly and professionally. 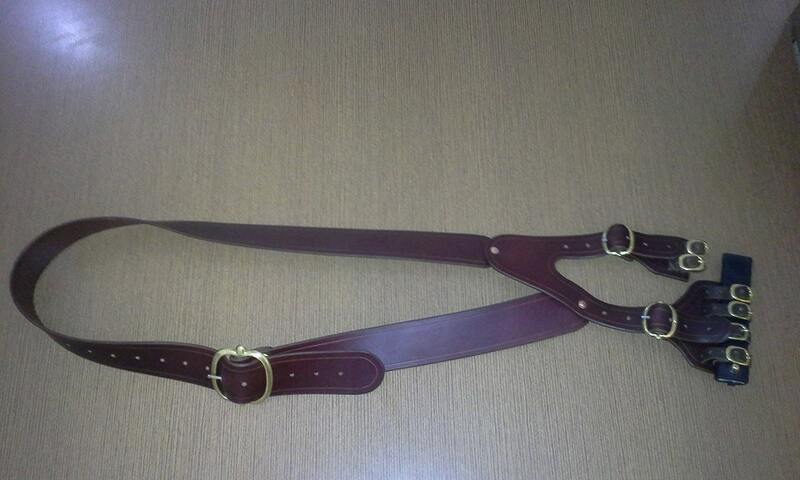 The baldric shipped on time and arrived on time, and it was packaged well to protect it in transit. I would definitely recommend this item and this shop to others. Love the quality and craftsmanship of this item. I am very satisfied and am sure that I will be enjoying this for years to come. 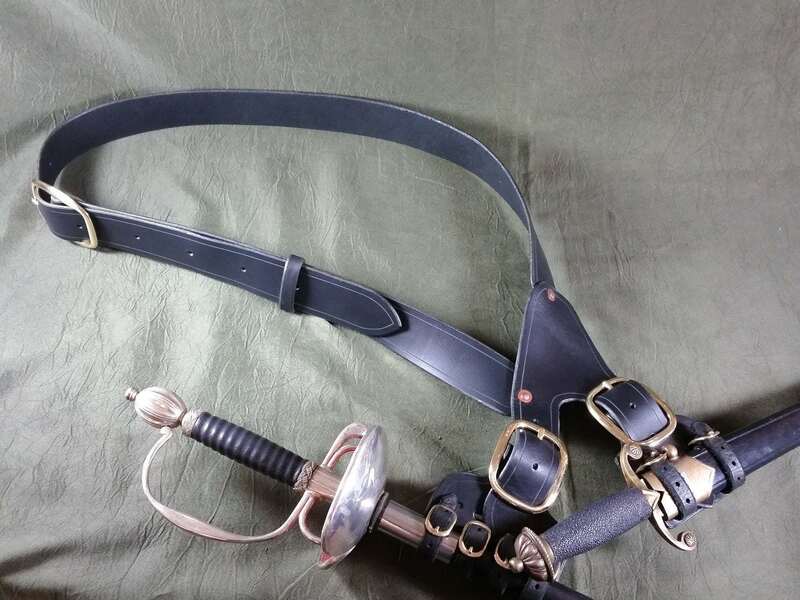 The only issue that cropped up is that the straps were only big enough for a thin blade, like a rapier, this was my fault entirely. 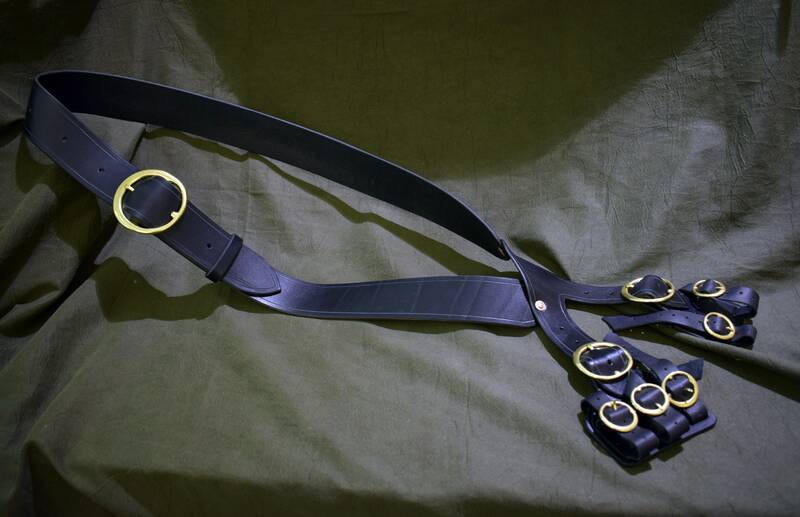 But a quick message to Allen at Grommets and they were able to send me another set of longer straps which are just what I needed. Absolutely wonderful work and great customer service. Will definitely be looking again for future buys here.